How do I set this up? Wheels with Rim that only turn. I'm not sure how to rig or set this up so that the top rim object only turns side to side. It should move with the wheels like up and down. But not just turn like the wheels. Is this hard or complex to do. If I cant figure it out I will just remove them. Thanks, any help or input would help. Re: How do I set this up? Wheels with Rim that only turn. So what part turns? The rubber and the VVVVV's and not the rest? You need to add an blank-mesh - just make a copy of the upper part, delete all vertices there are in it (its just to have the origin/pivot point at the same place - also, mind to keep the mesh name noted somehow for the later scripting (just add a "BLANK" word to it)) and parent the original to this blank. 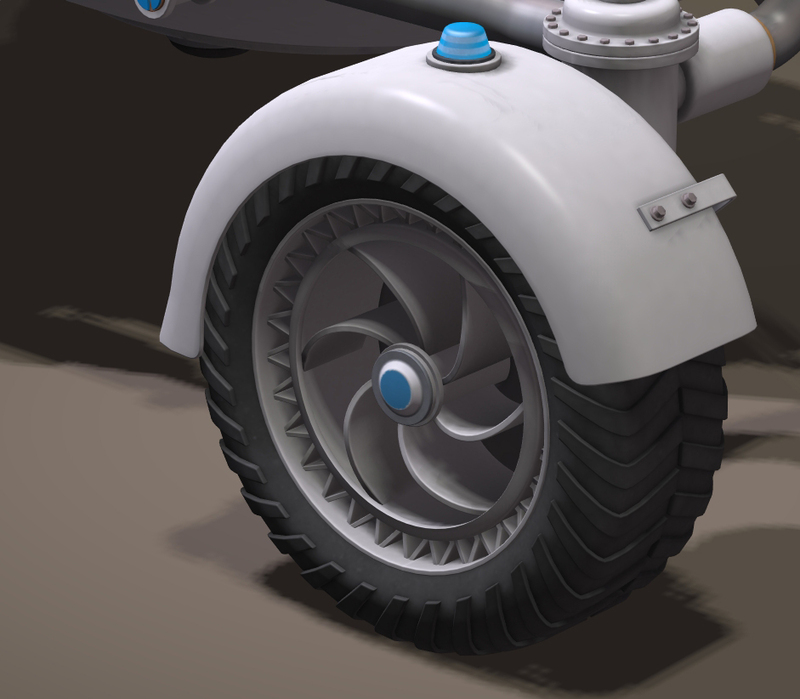 Then make an additional movement script for the "copy-mesh", witch will have the height set as the wheel-height (see wheel data acquisition in the OT-Importer-wiki). - the idea is, you can have just one movement/rotation script on one mesh, so the blanks have to be created to combine the different movements/rotations - but keep in mind that all the parented stuff does them in accordance to it. - So this one first makes the blank one go up and down thanks to the wheel-height data and then the parented one (the real object mesh - witch moves up and down too, cause its parented to the blank) has a separate script for the steering rotation (witch you already has). Thanks PytonPago. I will keep that in mind when I import it.